Start a home food business with this free book: HOMEMADE FOR SALE. (Book REVIEW and GIVEAWAY)! Do you dream of starting a successful home-based food business? It may be much easier than you might think. In recent years, laws called "cottage food laws" have been passed to help people easily start up their own home-based food businesses. With little red tape and low start-up costs, now it's easier than ever to get started making money with your own food business! Don't know where to start? 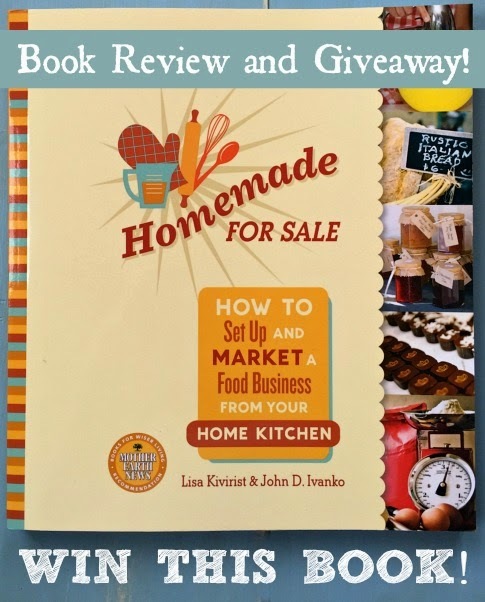 Here's something that may help: Homemade for Sale, a comprehensive guide to setting up and marketing a food business from your home kitchen. Want to find out how to get this resource for free? Keep reading! When I came across the title to this book, I felt instantly excited! Then I discovered an opportunity to review Homemade for Sale, and to pass a copy on to one of my readers for free. (I nearly popped with delight)! I couldn't wait for the books to arrive in the mail. My husband and I dream of running a food business from our farm and marketing our products from a road-side farm-stand (among other things). But like many of you with a similar dream, we don't know how to begin. Homemade for Sale is a timely find! front cover of Homemade for Sale. Homemade for Sale is well written, with an engaging voice that breathes encouragement on every page. And for good reason! Since 2007's Great Recession (when the American economy took a nose-dive that resembled the Great Depression), most US states have passed laws called "cottage food laws." These laws are designed to make it easy and inexpensive to earn money from home. Now you can make and sell food products manufactured in your own home kitchen, with minimal government interference. Sound appealing? You need this book! Homemade for Sale is an authoritative guide to creating and launching your own home-based food business. It's well researched, up-to-date and the first book of its kind. With its forward written by Nell Newman, the daughter of Paul Newman and co-founder of Newman's Own Organics, you're drawn in to the book's hopeful promise that you too could succeed at a home-based food business. But author's Lisa Kivirist and John D. Ivanko don't just dangle an empty carrot of hopeful promise; they lay out exactly how to make the dream a reality. How others have done it via real-life "story profiles"
The beautiful thing about the new cottage food laws--and the growing industry of homemade foods making their way to market--is not only that people can earn money by making food to serve their community, but also that a new kind of economy is being promoted across the nation. 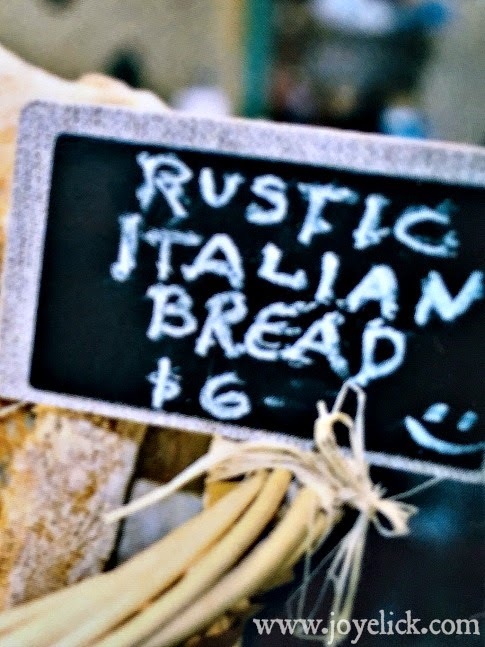 The cottage food industry supports the core values of buying local and selling local. No matter where you live, there's a definite demand for healthy homemade foods devoid of artificial ingredients and preservatives. If you make it, people will buy it. Now with the help of Homemade for Sale, you'll be empowered to join the movement (and succeed)! ENTER TO WIN YOUR FREE COPY TODAY! As promised, here's your chance to WIN this fantastic book. Are you chomping at the bit and don't want to leave it to chance? Buy your copy of Homemade for Sale TODAY! CLICK HERE. Are you feeling patient and rather lucky? ENTER TO WIN below! This giveaway will end on May 14th, 2015 Pacific Time. The winner will be chosen randomly by Rafflecopter. If you are the winner, you will be notified by email and announced on Farm Girl Inspirations Facebook page. You must respond within 48 hours from the date and time of the email notification. If you do not respond, you forfeit the prize, and another winner will be chosen. Farm Girl Inspirations will mail the prize to you, so you will be asked to provide your mailing address. You must be 18 years or older. Entrants are limited to the US. Facebook, Twitter, and Pinterest are in no way affiliated with this giveaway. No purchase is necessary. Void where prohibited by law. Farm Girl Inspirations received a free copy of Homemade for Sale for reviewing purposes and for giving away, but no monetary compensation. If you click a link to purchase the book from Amazon, Farm Girl Inspirations will receive a small commission payment from them. 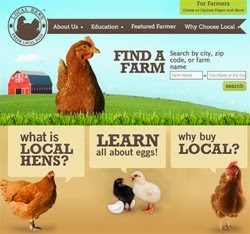 Please contact Farm Girl Inspirations via our Contact Form with any questions. May the luckiest one win! Let's chat: What's you're home-based food business dream? I'd love to hear from you in the comments below! 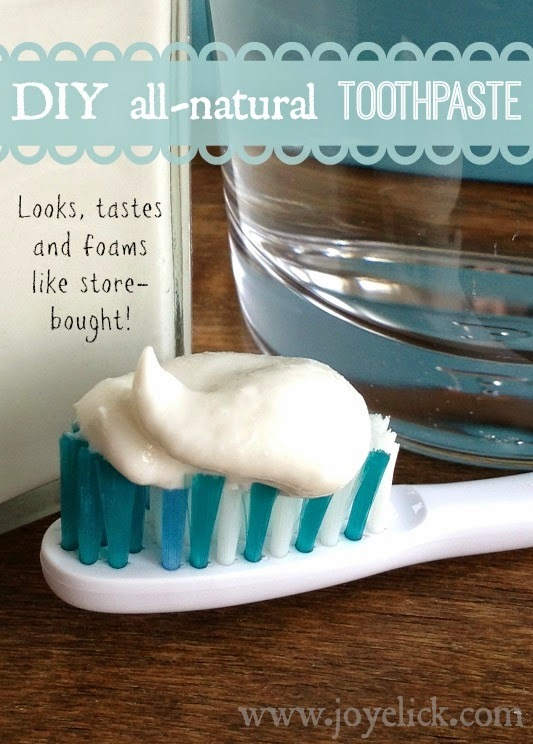 DIY all-natural TOOTHPASTE so good, you can brush aside the store-bought stuff and never miss it. DIY GRANOLA BARS: Create endless variety with just one recipe chart. 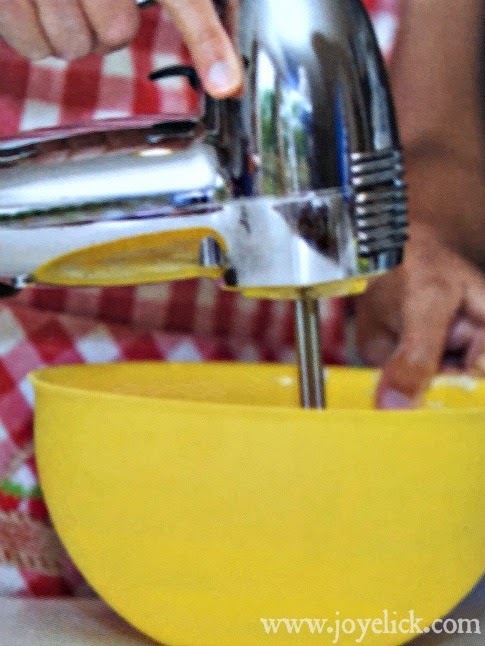 Homemade COUNTRY BISCUIT MIX: The frugal farm girl's ready-made mix series. I hope it is ok to comment here... I shared recipe posts on my FB page & look forward to your emails... Would love to win a copy of this book!!! Sounds like a very complete book. 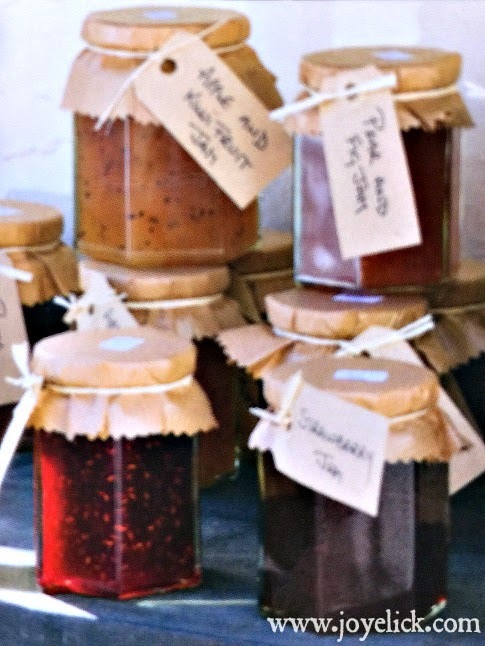 I have sold chutney and jam at a farmers' market, but would like to learn more about building a business. Thanks Alise :-) Chutney sounds good! This would be really fun. Please throw my name in the hat! I have been working hard to learn food manufacturing by working in a large chocolate and candy manufacturing company. I already can and process food at home. Our state signed a cottage food law in 2013 and I am really hopeful about my future. I would love to win this book. Please throw my name in the pot. I would love a copy. Great review post. Thanks Joy! I really need this book!!! I like what this book stands for and how it can help us.We need this book to supplement our disability income for myself and my wife Kathy who is in the hospital now.Prayer for Kathy,even if Kathy does not come home. Fantastic idea! I think this is very helpful idea about starting the small business Marino Sussich for everyone. Thanks for sharing. A brilliant idea on Homemade for Sale. Hope it will be able to contribute much to make some money by homemade food business. The guidelines inside the book sound good. Thanks for your excellent review. The most common sort of bakery will provide an array of fresh breads, together with savoury goods like sausage rolls, and sweet goods like cakes and pastries. Author is an expert of How to Resources - Starting a Bakery, visit here for more interesting information. With this type of online business, you're basically writing an online book or journal. And you don't get paid for writing a book until it's finished and it starts selling, right? All things considered, satisfaction is the final product of anything that we do throughout everyday life. Why not pick a business that would make you glad while doing it? Wonderful post! Thanks for taking time to share this with us. Keep sharing more. You won't need to trust that somebody will accommodate your home into their bustling timetable, and you can brag about having taken every necessary step yourself. All Entrepreneurs and individuals who have been running small business know that it is a consuming affair. Sometimes they are so engrossed with the bigger picture that they fail to check their mistakes that they have committed in the course of time. Especially, when it comes to their financial he said, most of the entrepreneurs fail to break their financial options. So here are some points that you should check to avoid financing mistake that can occur in the course of business.